Welcome back to the Washington, D.C & New York City Trip Report! 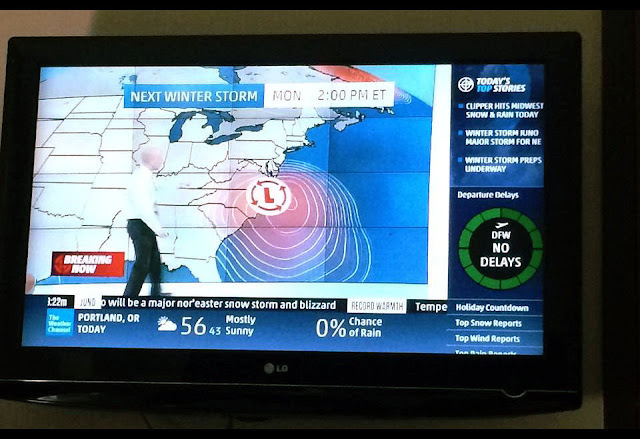 Our last day in NYC started with a warning of a snowstorm to come in the following day that left the American weather stations describing the upcoming storm such as “heart attack snow” and other fear-inducing (yet amusing) phrases. It was quite interesting to see how our southern neighbours reported an incoming storm compared to Toronto’s relaxed “well, here comes another one.. “ attitude. Unperturbed, we proceeded to our final tourist site of the trip, the Rockefeller Center to ascend to the “Top of the Rock” for what promised to be a marvellous view of the city. Ah yes, The Halal Guys of New York City. 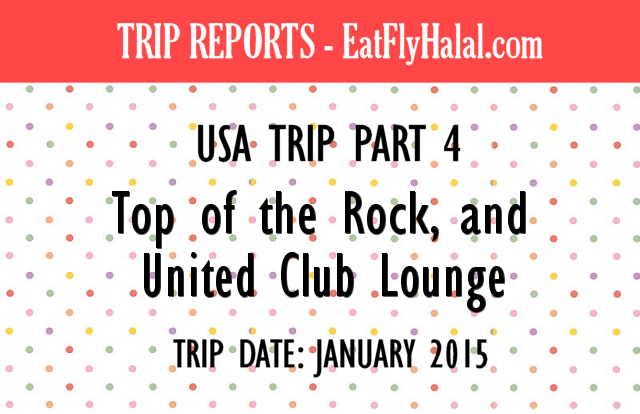 On our Trip to New York in January 2015 Rayyan and I had heard so much about The Halal Guys and their apparently amazing street food that we were just thrilled to set off and find their carts. Who would’ve known that a couple of months later, Toronto would hear news of getting its own The Halal Guys restaurant! Woohoo! Funny story though, before trying the real thing, we made a curious observation: There were many, many copycat carts all over the streets of NYC offering “Halal food”. We had approached another cart elsewhere thinking that mashaAllah, NYC was really catering to the Muslims, but we quickly realized that it wasn’t that these copy cat carts were offering different Halal options, but that the word “Halal” became synonymous to New Yorkers with “A plate of chicken, rice, and salad”. Thus, we learned that people probably think that “Halal” means Chicken and Rice. Funny! Do be warned though, the copycat carts are really not the same thing and you'd have to ask the vendors if it's really Halal. Some have even branded themselves with the same bright yellow and red just like The Halal Guys.